A holistic real estate business solution built by technologists and real estate specialists, Agentbox empowers Principals, Agents and Administrators to own their market. Enjoying a comprehensive suite of modules and features – from an award-winning Real Estate CRM to a Sales Trust, to targeted prospecting tools and a powerful mobile app – Agentbox offer the support and structure demanded by the real estate industry’s best. Designed by real estate agents for real estate agents! Keep all of your data in a hassle-free, single location so your agents can be out in the field or in the office and still connected to all of their important property and client details. Agentbox amplifies your marketing efforts, streamlines your business processes and offers unparalleled accountability and performance management across your team. Easy to use while still providing the depth of functionality you’d expect from an innovative real estate technology platform. Features include buyer and tenant matching, sophisticated property email alerts, vendor activity reports, staff commissions and target setting plus much more. Not all databases are created equal. Ensure you understand and avoid the mistakes many make. Speak to us today to learn more about the essential questions you should ask when considering CRM solutions. Your website must make a powerful first impression; it’s often the initial experience your customers will have with your agency. Our websites are the key to your growth, performance and influence in the digital age. Your website can integrate seamlessly with your Agentbox CRM should you want a complete agency solution, or it can be set up independently. We craft stylish responsive real estate websites intuitively designed with a focus on your customer’s experience. Websites can make you or break you; they need to look modern, easy to navigate and be mobile friendly. Read more about our website options. Capture leads from sources such as realestate.com.au and domain.com.au automatically into your CRM. Avoid duplicates by matching new enquiries with existing records in your CRM. You have the option to manually or automatically check these within moments of receiving the enquiry. Buyer and tenant requirements are also captured to allow you to do future prospecting and nurturing of these relationships. Exporting listings to sites such as realestate.com.au and domain.com.au has never been easier. Agentbox exports to a large number of industry websites and streamlines your advertising reach. Avoid the human error issues that are almost guaranteed to occur when systems aren’t automatically in sync by tapping into this crucial feature. Building on our reputation for innovation, we continue to evolve our mobile app with a continual stream of new features. Easily track your calls, manage your contacts, tasks, inspections and appointments all while on the go! OFI attendees will seamlessly sync with your CRM records adding to the database as prospective buyers or tenants. They can also be automatically assigned to property email alerts matching their requirements and maintaining the contact ownership rules you have set in your system settings. Stay on top of your performance targets with easy access to your reports at the tap of a button. Manage your transactions, from upfront vendor marketing contributions to sales deposits from multiple buyers – all with full investment account tracking in a single entry database. Multiple Sales Trust Accounts are available for agencies needing this additional flexibility for their sales transactions. You can access a comprehensive range of reports to help streamline the management of this important agency activity. Focus on listing and selling more properties with our time saving, easy to use prospecting tools. Get your hands on the secret weapon of the real estate elite. With live CoreLogic integration, you can now prospect and own your farming area like never before. Import data into your CRM with one click and see all of your properties and contacts on a dynamic map to uncover opportunities. You can add these new records to your prospecting activities; whether it be a phone call schedule, letterbox drop for recent listings and sales or a free appraisal campaign. Promote listings direct to prospective buyers and tenants with automatic email property alerts. Based on their search requirements you can set rules in your CRM to ensure you send every new listing or price change to those who want it most. As you obtain new enquiries through real estate portals and OFIs, the system will automatically include these recipients when sending property alerts. Efficiently manage all your Commercial properties from appraisal through to settlement. All the powerful features outlined for residential properties you can apply to your Commercial business activities. Capture crucial details reflecting the multiple properties owned by individuals, the many owners and contacts per property and setting of prospecting tasks for follow up after long lease periods expire are just a few examples of how Agentbox can keep you on top of your game. Empower your staff with user-friendly and modern communication tools including individual and bulk SMS, eBrochures and eNewsletters. Agentbox comes with an extensive range of letter, newsletter and SMS templates ready for you to use. You can easily customise these templates to add your personal flair. Extend your reach by sharing your listings via social media all at the click of a button. 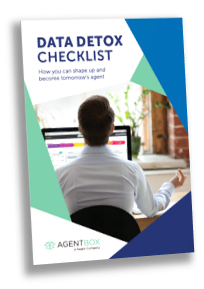 See examples of the Agentbox eMarketing templates. Our intuitive CRM increases staff productivity with automated workflow systems, tasks and diary management. Agentbox allows you to access pre-built activity schedules which you can further customise for your office. These schedules allow you to keep on top of all your tasks associated with running an efficient agency; examples include Hot Buyers, Purchaser 5 Year Anniversary and New Listing Checklist. If required, tasks can be re-assigned individually or in bulk to new owners if staff are away or no longer work at the agency. Comprehensive reporting at both an agent level and a company level drives your business forward. Property, contact, marketing campaign and KPI reports are all at your fingertips! Example reports include performance reports covering commissions, listings, sold properties, average sales values, days on market and auction clearance rates. There are more the 50 pre-built reports allowing you to keep close to your business fundamentals each day. Each report can be further customised and saved for future use. Easily create a variety of professional window cards and high-resolution brochures to promote your listings. Stocklists are ready to print for internal or public use. All templates are ready to use or can be customised to meet your specific requirements. Agentbox training and support services are second to none. A range of options exist to ensure you hit the ground running; whether it be self service via training manuals or training videos, or web-based personalised training sessions or training within your office customised individually for you. Our industry-leading Agentbox Academy also lets you set up your staff and new staff as they join the team with a pre-set series of online training courses that are self-paced and tested. With so many flexible training packages to suit your office, online training materials, as well as email support – your agency will be a powerhouse!